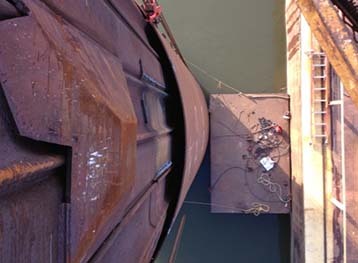 Executed in 2009 and 2011 under two contracts, Aquarius Marine performed repairs to six mooring cells on the main dock line of American Electric Power’s Cook Coal Terminal. 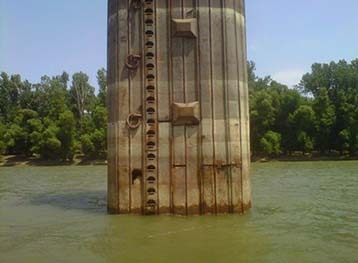 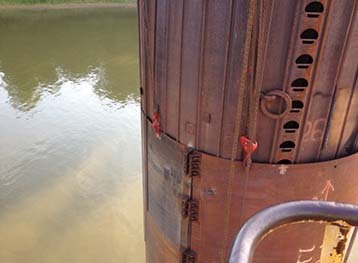 In general, the repairs consisted of the installation of a belly-band around a damaged cell and the installation of a mooring tube adjacent to the damaged cell. 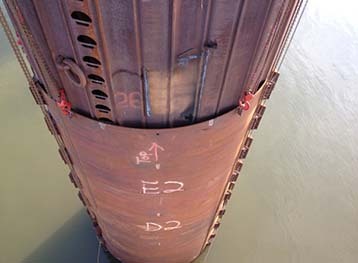 The belly bands consisted of rolled plate steel with an overall height of 40’ and ranged in thickness from 3/8” to 3/4” and provides for a smooth breasting surface.